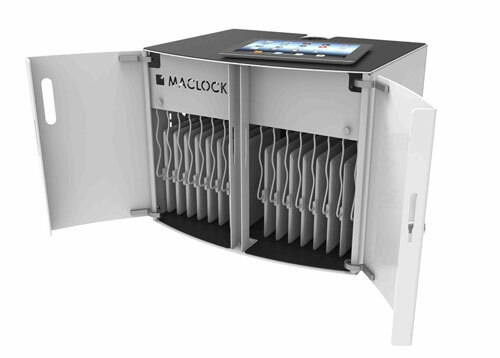 TRIPP LITE Charging Sync Station: has space for 16 iPads or Android tablets. Each USB port delivers up to 2.4 amps of current. Luxor Wall Desk Charging Box: lets you charge up to 12 tablets. 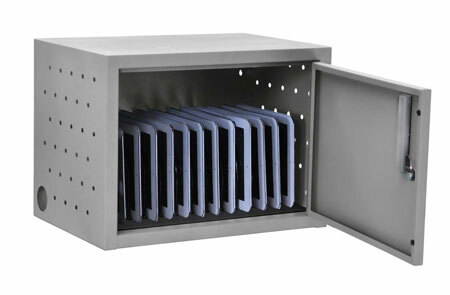 It has rubber-coated dividers to keep your devices protected. TRIPP LITE 32-Port Charging Cart: it serves as a charging station for your tablets, laptops, and Chromebooks. You get removable dividers for thicker devices. 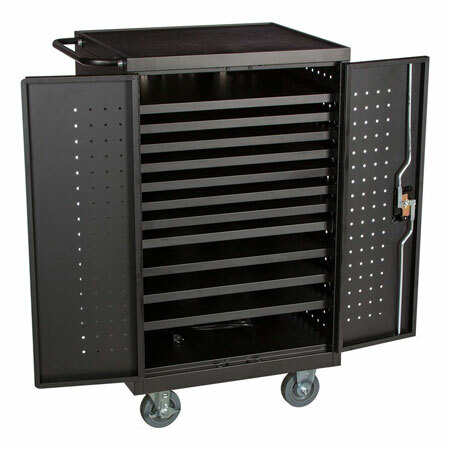 Learniture Locking Tablet Charging Cart: this piece has space for up to 24 tablets. It has removable and adjustable shelves. 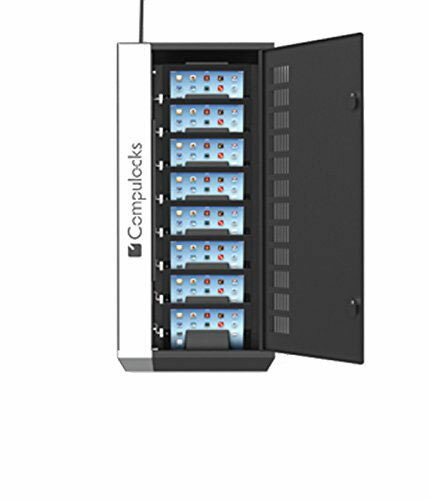 CartiPad Solo Modular Cabinet: a charging cabinet for up to 16 devices. 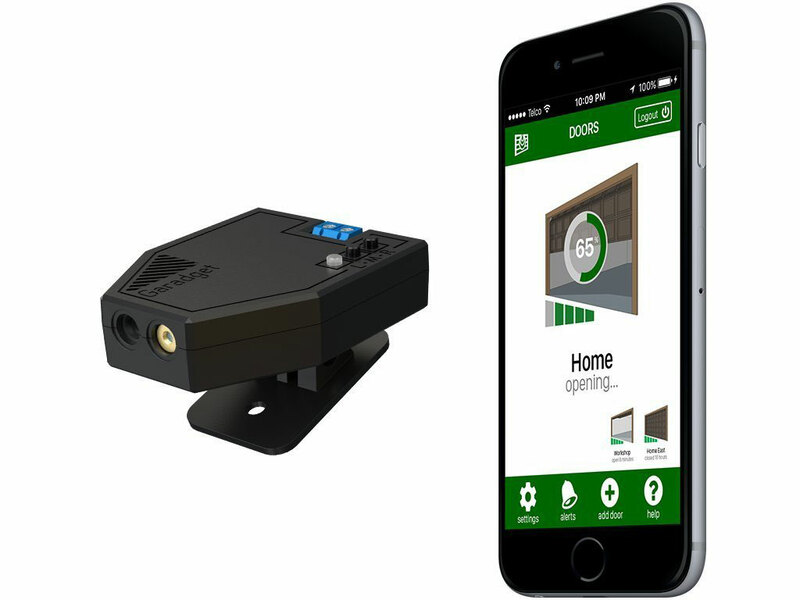 It has a modular design and supports devices up to 13 inches. 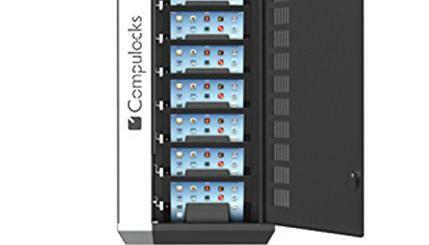 Maclocks WalliPad: this is a wall mounted charging cabinet for tablets. It accommodates devices up to 11 inches and comes with 8 USB ports. 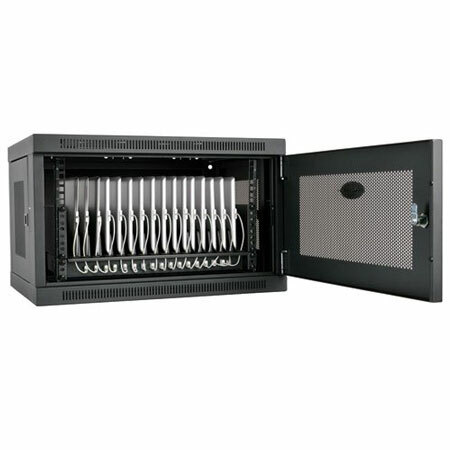 Kensington AC12 Cabinet: lets you charge 12 tablets, laptops, or Chromebooks. It is a lockable cabinet with a tamper-resistant locking door and 4 rubber wheels. Have you found better charging cabinets for smartphones and tablets? Please share them here.